Caffeine is a natural occurring substance present in the leaves, seeds, and fruits of numerous plants found throughout the world. Medically, caffeine is considered a psychoactive drug. In humans, caffeine acts as a central nervous system stimulant. It temporarily wards off drowsiness, and restores alertness. 90 percent of adults living in North America consume caffeine in coffee, tea, soft drinks, energy drinks, and chocolate made from cocoa beans. Does caffeine cause side effects? Ingesting caffeine produces wakefulness, clearer and faster flow of thought. It may lead to insomnia, and high doses may impair coordination. High consumption of caffeine can lead to nervousness, irritability, restlessness, headaches and heart palpitations. 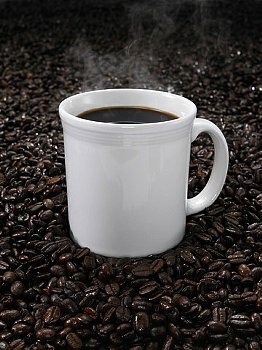 Caffeine can produce a diuretic effect in some people, and heavy use might increase the risk of bladder cancer. Decaffeinated coffee goes through a process in which the caffeine is removed from coffee beans. Decaffeination doesn’t remove all caffeine. There may be 1% or 2% remaining in the coffee beans after processing. The Swiss Water Method is 99.9% caffeine free. Why you should switch to decaffeinated coffee? Caffeine can cause addiction. Withdrawal symptoms may include headache, irritability, drowsiness, inability to concentrate, insomnia, stomach pain, joint pain, depression, anxiety, nausea and vomiting. What methods are used to decaffeinate coffee beans? One method of decaffeination is chemical. Methylene chloride (dichloromethane), or ethyl acetate are used to extract caffeine from coffee beans. These methods carry health risks. The Swiss Water Process is an ecologically friendly, non-chemical method of extracting caffeine from coffee beans. Putting it very simply, green coffee beans are run through purified water, and a carbon filtration system to remove caffeine. Why you should drink chemical-free decaffeinated coffee? When buying decaf (decaffeinated) coffee, check to see the method of decaffeination. If you consume chemical-free food, and eat organic, avoid chemical methods of decaffeination because of the possible health risks. May as well keep your coffee as healthy as the rest of your diet. Organic decaffeinated coffee is more expensive. If you’re a purist, eat mostly organic food, or at least try to avoid packaged food containing additives – go organic with your coffee. Health benefits of buying organic: pesticides, fungicides, and insecticides, are used in conventional farming, not in organic. Fair trade farmer benefits: small farmers who grow organic fair trade coffee stay in business and get a fair price for growing their coffee. Environmental: preventing deforestation. If you can’t get Swiss Water Decaf locally, here are some suggestions from Amazon. Cafe Altura Organic Coffee, The Coffee Bean & Tea Leaf Swiss Water Process Decaf Espresso , and Van Houtte Cafe Swiss Water Decaf, Fair Trade & Organic. Once you click on the links, there’s plenty more choices. Posted on September 7, 2012, in Food, Recommended Products and tagged Caffeine, Coffee, Coffee bean, decaf health issues, Decaffeination, Swiss Water Process. Bookmark the permalink. Leave a comment.